Most of the foreign travelers in Japan, coming from the western part of the world, land at Narita International Airport and in priority, want to reach their accomodation in Tokyo. However, the landing happens, in this case, more than 60 kilometers away on the eastern side of the Japanese capital city, in Chiba prefecture. Since transportation in Japan is not always the easiest thing to handle, especially for Japan first time travelers, and because questions about this topic come back regularly, this article will give you details about duration and costs of this transportation, accordingly to the different means and arrival train stations. 16 to 27,000¥ (~US$ 143.10 to ~US$ 241.50) and at least 1,5 hour by taxi. From 45,000¥ (~US$ 402.50) and 15 minutes by helicopter + limousine car. We won’t spend too much time on it. Overall, the Keisei Skyliner is faster but more expensive than the Narita Express, itself faster than the bus. All transportation presented in this article are accessible from both Terminal 1 and 2 of the airport. If you have a changing and/or a little walking to do to reach your accomodation, we recommend you to use takuhaibin (luggage delivery). Be careful: in the evening and mostly at night, there are a few or no transportation at all departing from Narita airport. Check carefully the compatibility of your landing/take-off hours with the transportation means described below. There are several hotels located nearby the terminals where to spend the night while waiting for the first morning trains. Finally, let us precise some vocabulary here: we talk about Tokyo as being the capital of Japan, but it is also the name of train station just like any other, located South-East of the city center. You can help yourself with a converter in order to know the prices in dollars or other currencies depending on the current exchange rate. All prices indicated on this article are for one adult in ordinary class. Overall, you can divide the cost by two for a child (from 6 to 11 years old in general) and multiply it by two for the Green car (equivalent to the first class). 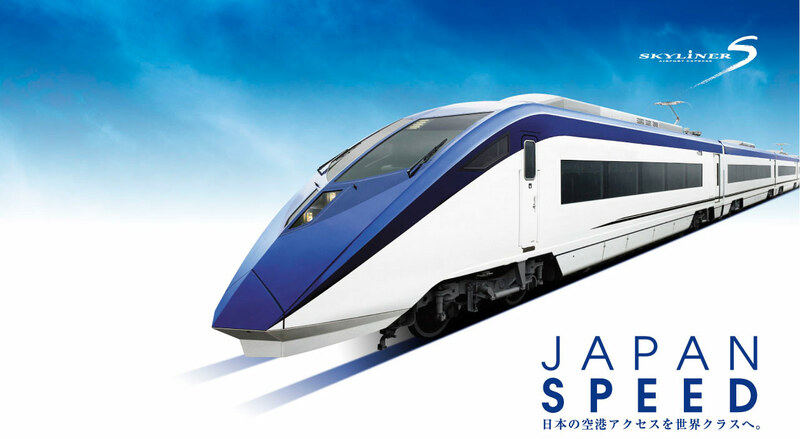 Only transportations monitored by the JR company are compatible with the Japan Rail Pass and therefore are covered and free by using it (if it is activated of course). For other travelers, an individual ticket must be purchased in advance, but we do recommend you to use a Suica card for more convenience. The durations for each train station below are those from Narita airport Terminal 1, the farthest one from Tokyo. You can count two to three minutes between the two terminals. your walking pace and rapidity to rally the different platforms. The Skyliner, in place since 2010, happens to be the fastest mean to reach downtown Tokyo (36 minutes to Nippori) but it remains a little more expensive than JR trains. It is necessary to reserve a seat before boarding the Keisei Skyliner. Alternatively, there is also thhe “Keisei local” line, more economic but slower, going from Narita to Nippori (1,240¥ (~US$ 11.10) / 70min) or the “Keisei main line” going up to Ueno, twice less expensive but still slow. 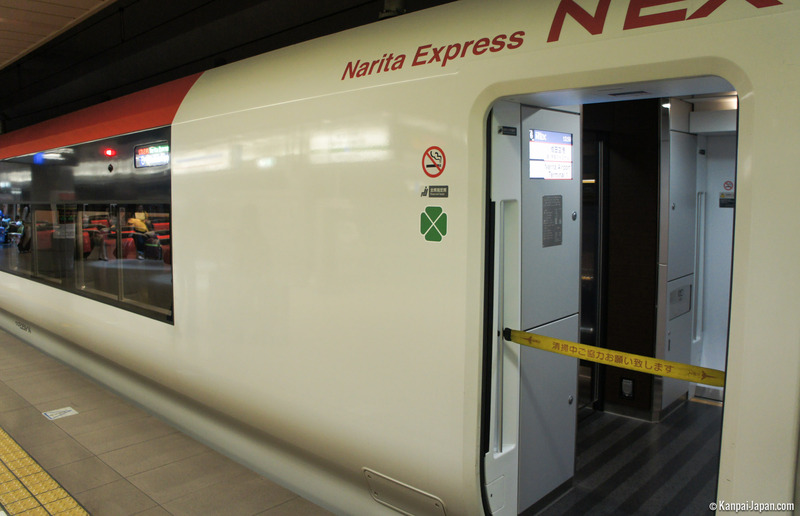 All Narita Express trains go through Tokyo station. Some do stop by it, but most of them divide into two: one part goes towards Ikebukuro and stop by the capital's western and northern stations, and the other part goes to the South up to Yokohama. 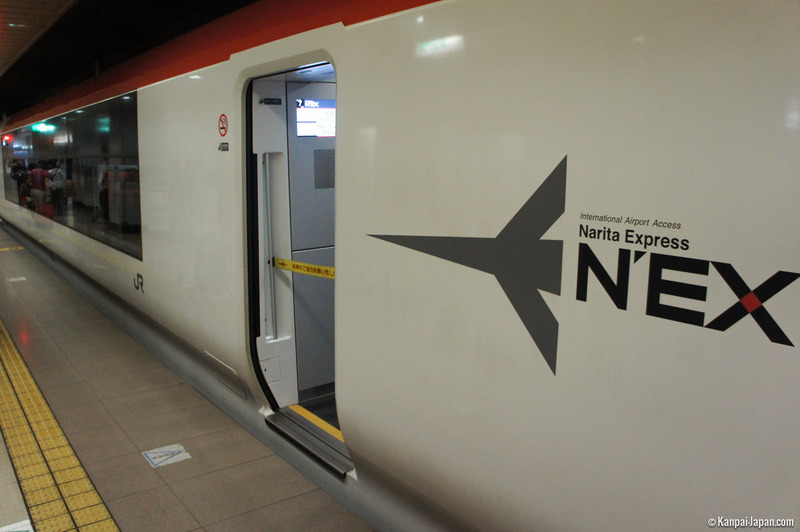 Warning: even if you possess a valid JR Pass, you will need to book a seat before boarding the N’EX train. Timetables (departures every 30 minutes to 60 minutes, from around 6:30 am to 8:45 pm). For non Japanese passports’ holders (to show at the ticket counter): round-trip to Tokyo for 4,000¥ (~US$ 35.80) instead of 6,040¥ (~US$ 54.00) minimum, for a duration stay up to 14 days maximum. Buses are an interesting alternative because, in addition to stopping at Tokyo’s main train stations, they also stop at the doors of several dozens of hotels in the capital. On the other hand, they can obviously be slowed down by traffic, especially during rush hours. There are several departures per hour, for a duration of around 1h30. There are several bus companies. The stations are classified by alphabetical order. For each of them, you will find different itineraries depending of your budget and how fast you want to reach the stations. This is a journey that can be necessary, specifically in the case of a connecting flight. The two international airports of Tokyo are separated by 80 kilometers at the shortest. While waiting inside, Narita airport offers a “transit program” in order to enjoy the surroundings.